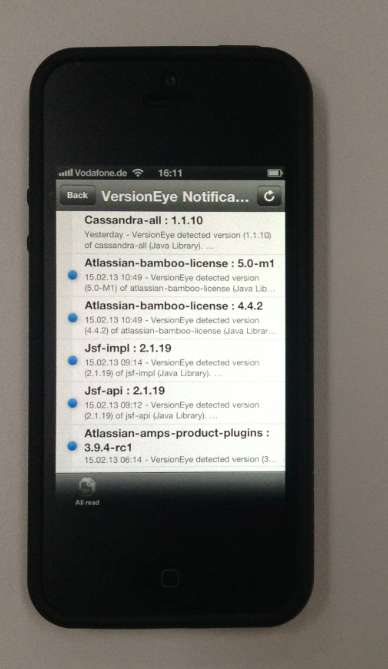 We finished the RSS feature for VersionEye. You can now subscribe to your libraries via RSS. 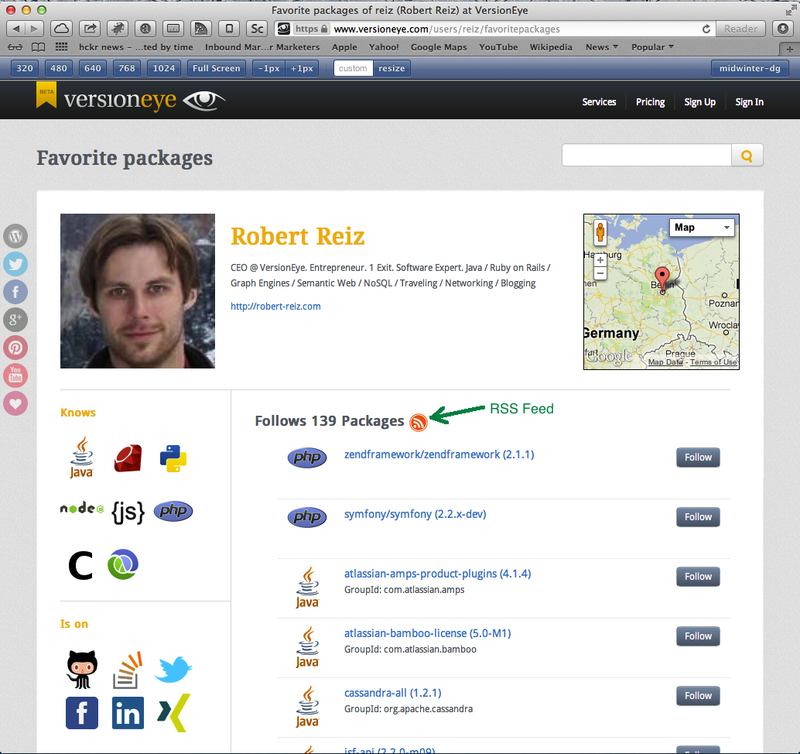 On your profile page, there will now be an RSS icon next to your favorite packages. 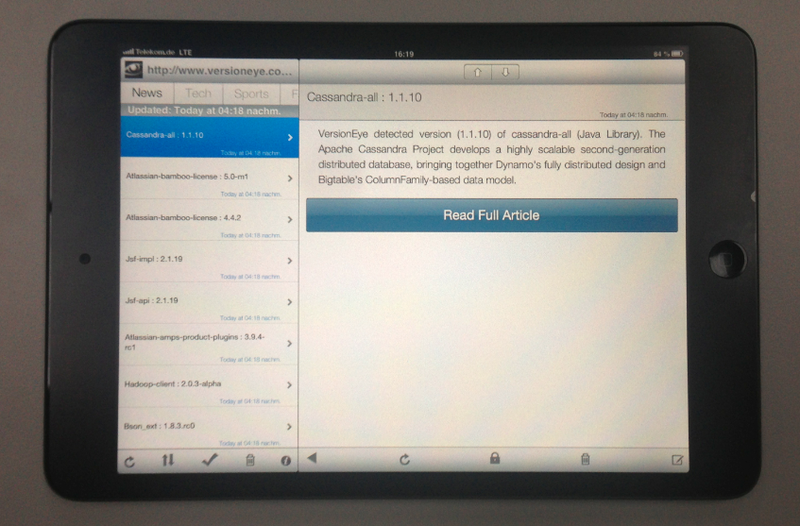 Simply click on the icon and you will always receive the latest version notifications via your favorite RSS reader. I use RSS Toaster. And the cool thing is that you are now also able to get the notifications on your smart phone. Or on your favorite tablet.